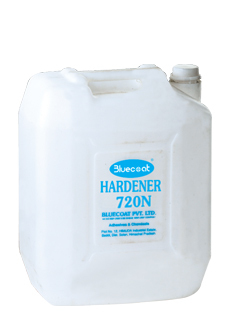 Bluecoat Hardener 720N is used for hardening nylon screens in textile printing. Keep the container closed & away from sunlight. Once the screen is hard it is difficult to decoat. 12 months, if container is closed properly. Use hand gloves while applying the hardener to the screen. Wear eyeglass to protect the eyes.